This private garden in Bristol was both started and completed this week. 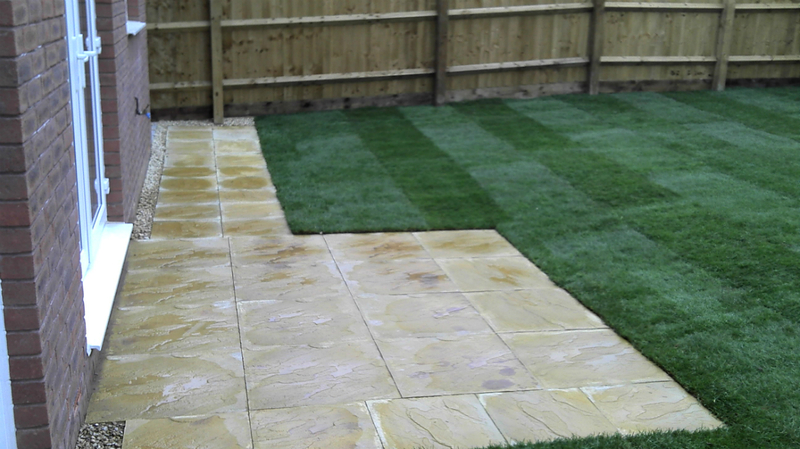 We were asked by our clients to extend the existing patio with an additional pathway laid to the left hand side. They also wanted us to lay a new lawn. As you can see from the pictures this slope was achieved by adjusting the depth of the mortar on which the slabs were bedded. The last two pictures below show the completed garden, it took 2½ days to complete. Another project finished both within the time scale and on budget.